A man that takes the role of a Deacon is showing by his submission, sacrifice and love to extol all the gifts that are given to him by God. Donning vestments, whether Priest or Deacon is the ultimate witness of manliness. Those that are chosen for this gift are very few, and it is only by the love in their heart for others that they are chosen. The martyr is prepared for death by the knowledge that their blood feeds the Church, and by the shedding of their blood, within God's will, they are given the greatest gift while still in the flesh; the assurance of heaven. Is there any suffering that we cannot endure if we know we shall have heaven for all eternity? St. Stephen saw what he most desired, and it’s fulfillment is so great that anything he would suffer caused him no ill will to those who were killing him, and by asking mercy he was praying that they should be in the same heaven as he was about to attain. He lived a life poured out for others with no thought for himself. St. Stephen is the first witness of what happens at each and every Holy Mass. At each Holy Mass, the heavens open and we have access to the throne of God, just what St. Stephen's saw. He, saw Jesus in the face, we see Jesus in the Holy Eucharist. During Mass we can plead before God's throne for mercy for ourselves and for our brethren, whether they can see what we see or not. St Stephen saw the heavens open and saw the judgement seat of God and pleaded for those killing him. We have access to the judgement seat of God when the Body and Blood of Jesus is offered to the Father, and we too should plead for those around us. St. Stephen saw the wounds of our Lord in his hands as he looked into heaven, and was given fortification to accept the will of the Father. In the wounds of Christ are the perfection desired of every martyr of the Catholic Church, for in them is the perfect will of God. The Holy Mass is truly heaven on Earth! How I wish people understood what this truly is. What would you give to attain heaven? What would you lay down to see God in the face? The Catholic has the gift of heaven at every Holy Mass. For at each Mass the angels and the Saints are in attendance, happy that such a grace is given to us. But we with our dim eyes do not see what is really happening. If we truly understood how the heavens open and how the throne of God is available to us at each and every Holy Mass, we would be willing to give up everything we have to go to just one. What joy is to go to Holy Mass, the prelude of heaven! And if you love others, knowing the heavens are open to you as they are at each Holy Mass, what would you plead before the throne of God for those around you? If you love as the Sacred Heart loves, there is no part of your heart that you will deny God to lay on the altar for someone else. 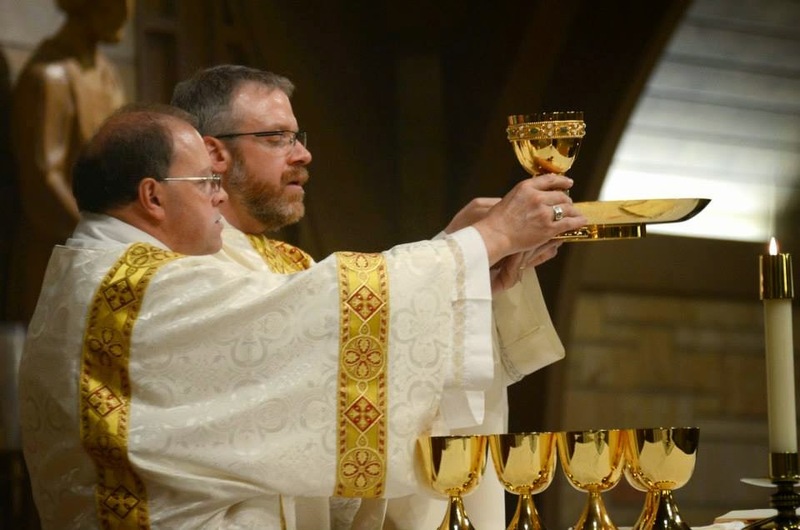 Only the Priest can give us Jesus, but it was a Deacon who gave us the first glimpse of what truly happens in the Mass. 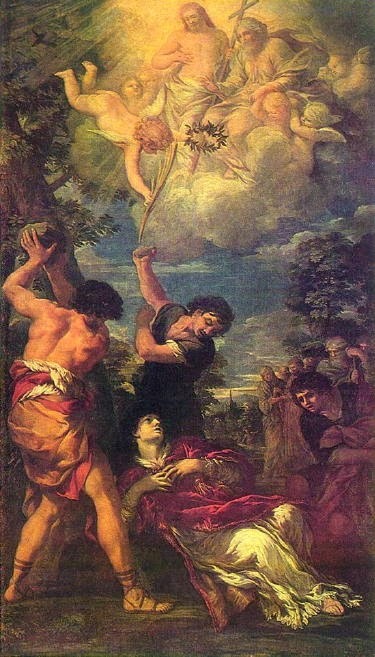 St. Stephen pray for us!